There's something magical about winter solstice. The shortest day of the year is a turning point, the peak of the dark that hints at the burgeoning light. A secret whisper promising sunshine, spring flowers and long warm days. 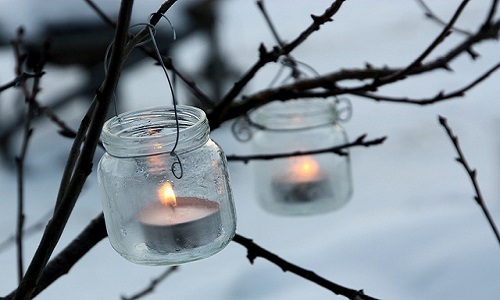 While many will mark the winter solstice with the time-honoured tradition of lighting a lantern, this year, I'll take the opportunity to reflect, to borrow from a most-inspiring blogger, Pip and take stock. Making: space in my garden for spring planting. Cooking: macadamia and date bliss balls...my new favourite snack. Drinking: cups of tea made from herbs in my tea garden, especially lemon balm. Reading: YA by the truckload. This weekend its 'Six Impossible Things' by Fiona Wood and 'The First Third' by Will Kostakidis. Wanting: a nifty fifty lens for my camera. Playing: Gypsy and the Cat, over and over. Deciding: on birthday surprises for my two boys. Wishing: for spring to arrive already. Enjoying: watching the pink magnolia flowers unfurl in my garden. Waiting: excitedly for an upcoming trip to a writing conference. Liking: Renew Newcastle and all the emerging creative spaces. Wondering: how my three are growing up so fast. Loving: swede soup in my new soup maker. Pondering: plans for my 40th later this year. Considering: tickets to see Les Miserables for my birthday. Watching: River Cottage with Hugh Fearnley-Whittingstall. Hoping: to cook an incredible Hugh-inspired feast from my own cottage garden one day. Marvelling: at my eldest playing the drums. Needing: to plant more parsley, chives and rocket. Smelling: winter dew on the grass each morning. Wearing: cosy jumpers and scarves. Following: so many creative Australian bloggers. Noticing: all this freezing weather. Knowing: I have washing to hang out. Thinking: about family, near and far. Admiring: the work of the children's book laureate, Jackie French. Sorting: through lots of photos and thinking I need to make some photo books. Buying: tickets to see Mary Poppins...can't wait to see the stage adaptation. Getting: inspired to write more stories by the funny things my three get up to. Bookmarking: more bliss ball recipes. Disliking: anything left on the floor. Opening: packets of Australian macadamias..yum! Giggling: at my children's drawings. Feeling: excited about my short story being published here. Snacking: on crackers, avocado and pink Himalayan salt. Helping: my youngest to ride a bike. Hearing: bellbird song in the reserve behind our place. Looking: forward to spring branches draped with golden wattle and the scent of jasmine in the wind. It was just me and my little one who set off for the local artisan markets on Saturday. She had put on her little lace beret and was looking quite the artisan as she held my hand and danced her way through the creative buzz. 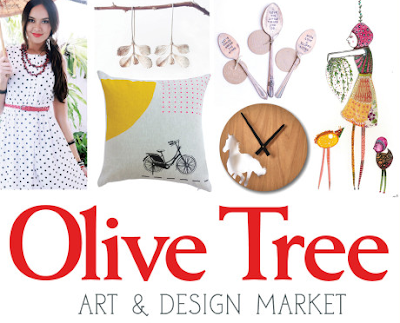 The Olive Tree markets are by far the most wonderful markets I have ever been to. As a newbie to Newcastle, I immediately fell in love with the cruisey vibe, the variety of artisan crafts and the inspiring buzz of so many flegling business owners excited to share their creations. Today I was lucky and found the most beautiful hand-fossicked and drilled beach stone pendant. It was the first time the stall owner had brought her craft to market so I felt especially pleased to support her new venture. And we had to find the fountain, of course. Apart from the 'awesome music' (lots of things are 'awesome' at the moment) for dancing, my three year old's very favourite part of a trip to the Olive Tree Markets is to walk around the fountain and watch for rainbows in the water sprouts. 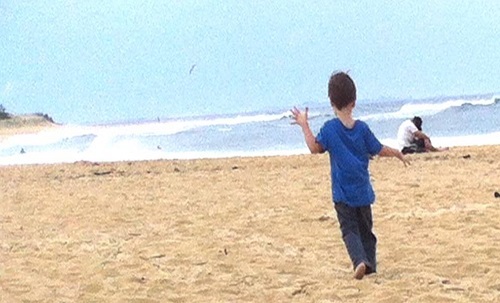 My three children love our jaunts to the beach. It's the freedom and fun of living so close to the beach that drew us to the north coast. We are spoilt for choice here, never far from a beach or two. There are favourite spots to swim (usually calm ocean pools), to run, to rock pool fossick and then there are mummy's favourite beaches that tend to be located close to a coffee source. Where once I may have sought an ice cream at a busy beach, these days I enjoy hot drinks by quiet stretches of wind-swept sand and gentle rolling waves. Just watching my three fossick and talk to each other as they discover beach treasures feels like a privilege and a treat in itself. Until sand inevitably flies from the hand of one little person into the eyes of another, of course.. let's keep it real.. sibling serenity never lasts too long!